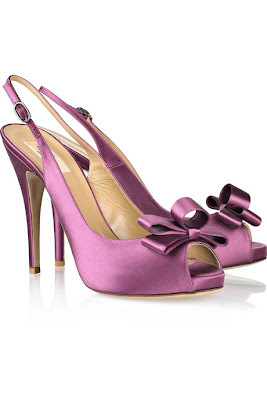 Valentino is up to 80% off at theOutnet.com and these bow-embellished satin sandals in black and pink are stunning! These are perfect for Xmas season! Both pairs going for 190 euro!